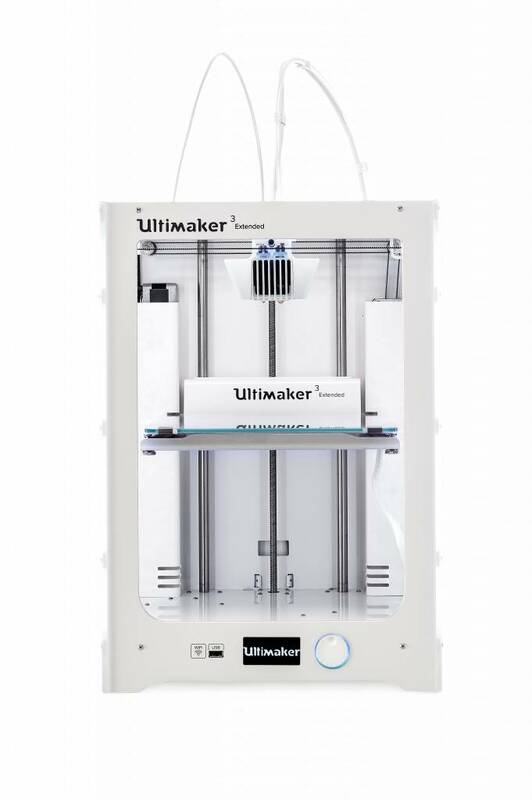 The Ultimaker 3 is the most reliable dual extrusion 3D-printer on the market. It has improved printing performance for printing more complex designs, an automatic nozzle-lifting system and interchangeable print cores. 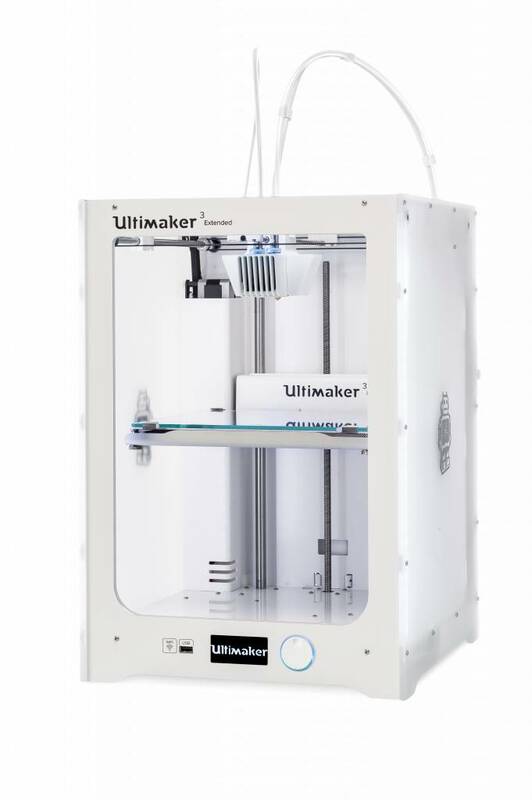 The Ultimaker 3 is the most reliable dual extrusion 3D-printer on the market. Has improved printing performance for printing more complex designs, an automatic nozzle-lifting system, professional build quality, a wide range of supported materials and interchangeable print cores. 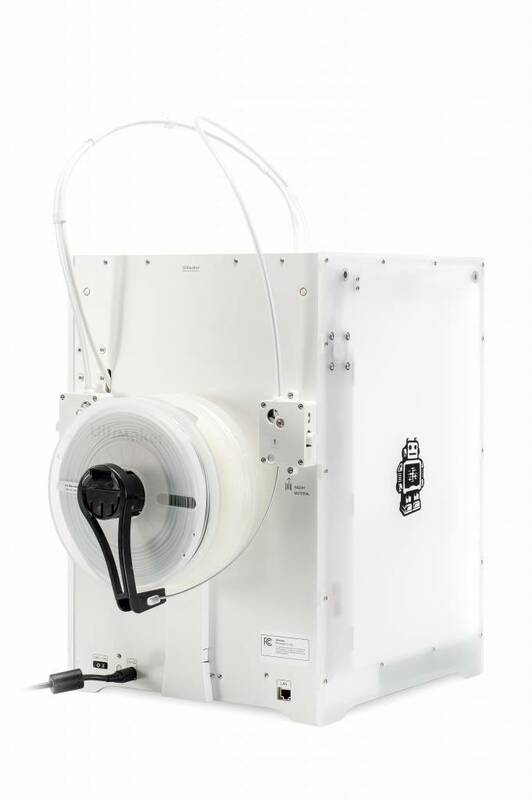 First of all the entire printing head is redesigned, the dual extrusion printhead now offers the possibility to combine standard printing materials with dissolvable support material. 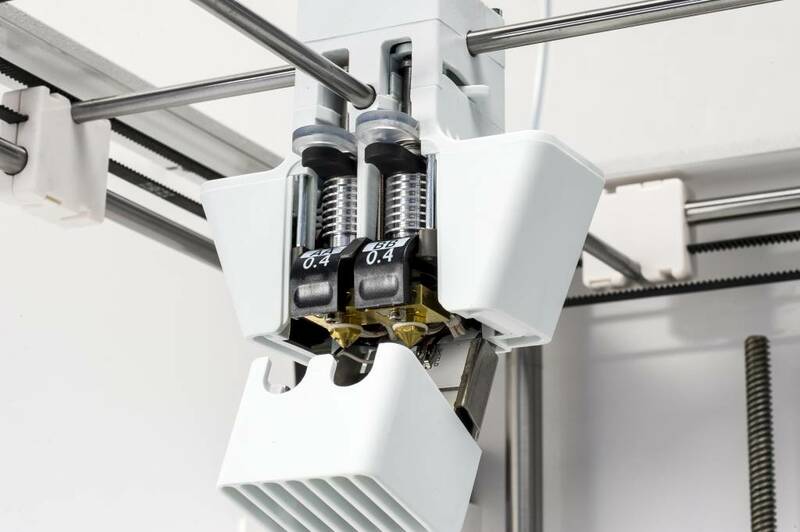 This allows you to print the most complex mechanical parts. Printing with 2 different colours is also a possibility of course. 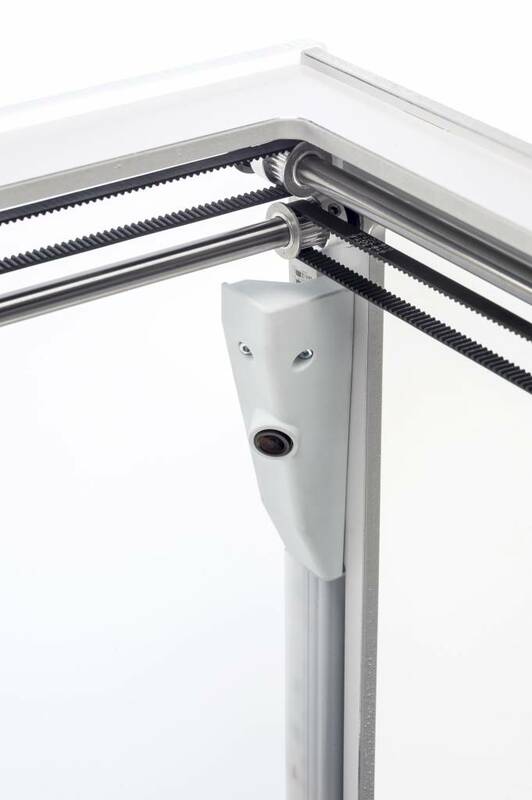 The automatic nozzle-lifting system makes sure that every print will have a smooth, professional surface finish. The second innovation are the print cores. A quicker switch between print cores means a quicker change of materials and shorter time needed to start your next print. Each Ultimaker 3 comes with 2 print cores for basic materials (AA) and one print core for support materials (BB). The use of multiple different print cores makes the risk of clogging smaller and improves the general printing experience. Another new feature is the stronger and quieter ventilation. With two nieuw fans and a new protective grille the Ultimaker 3 generates a much better airflow. The new LED status indicators make printing easier. These tell you when user interaction is required. Need less to say, Ultimaker also thought about the software. CURA has extensively tested profiles, which improves your printing experience. 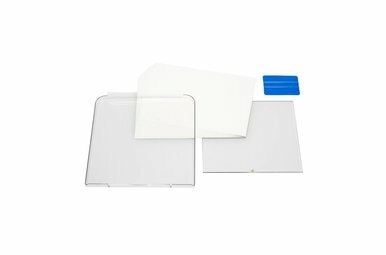 The brand new NFC scanner is a built-in material identification system. This assures that your 3D printer is ready to print. 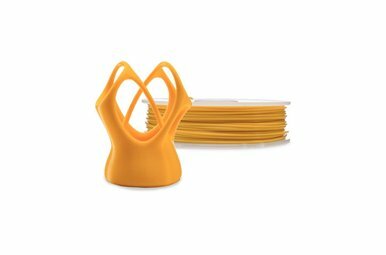 The Ultimaker 3 recognizes the material on the spool as well as the active print core. Also new is the EEPROM print core chip, which remembers the diameter and type of the nozzle and warns you in case of misuse. 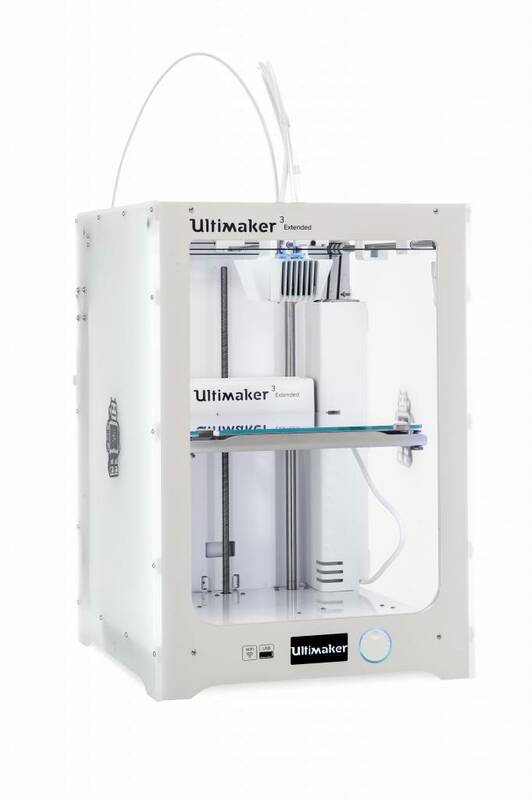 Compared to its predecessors the Ultimaker 3 uses a USB port in stead of an SD-card. 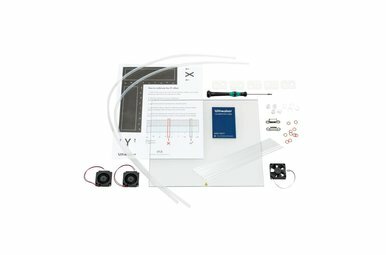 You can now also connect your Ultimaker 3 via WiFi/LAN. 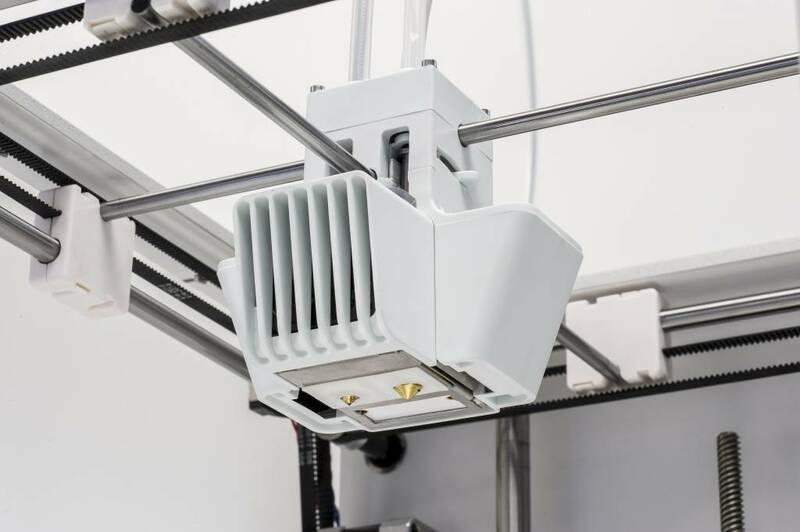 Once connected, you can keep track of the progress of your 3D-prints through the live camera. 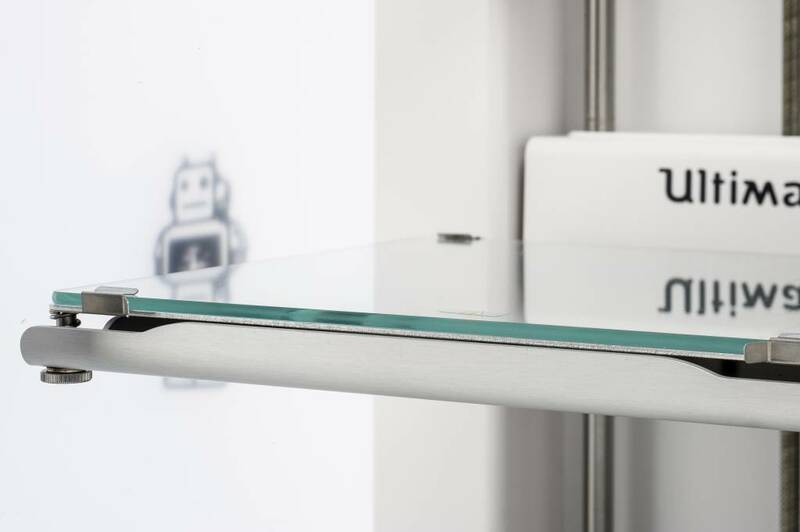 The last innovations were made to the heated bed, in particular the active bed leveling. The capacitive sensor in the printing head measures the distance between the print bed and the nozzle. The angle of inclination is compensated consequently by the Z-axis in the first layers. The end result is a more accurate bed leveling and an improved adhesion to the print bed. Apart from that Ultimaker also changed the design of the buildplate. It's now lighter and stronger, which reduces vibrations and increases reliability. The print bed is still heated, which allows for a wide arrangement of printable materials. 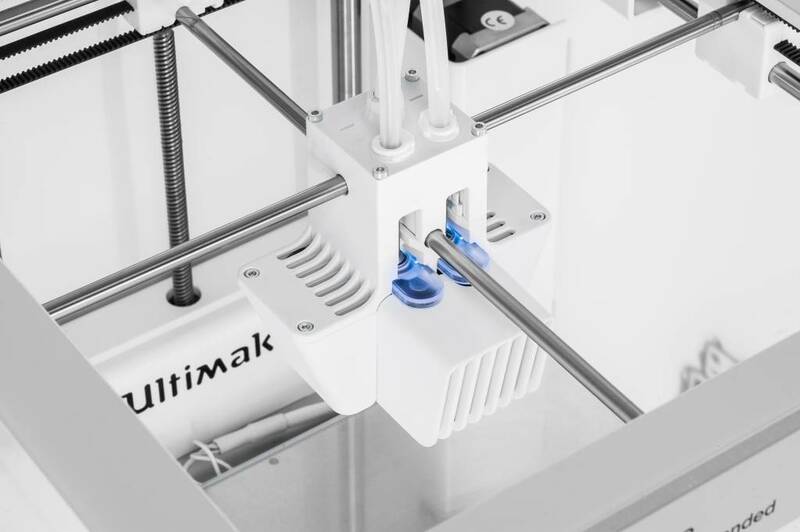 The Ultimaker 3 support pages show you how easy it is to produce great quality prints as soon as you get started. Check it here. All the parts come with a 1 year warranty. Ultimaker also offers life-time support through email and phone. There's also an awesome community with plenty of knowledge to help you out when you're in need.